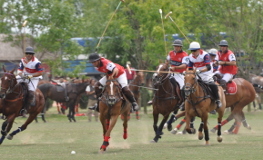 Puesto Viejo Estancia & Polo Club is fully affiliated with the Argentine Association of Polo. 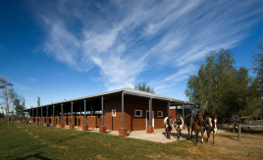 The club offers everything a player needs, including; 6 professional Tifton polo pitches, a stick and ball pitch, 400 metre exercise track and arena, stables with 100 boxes, individual and group corrals and 100 hectares of turnout land. 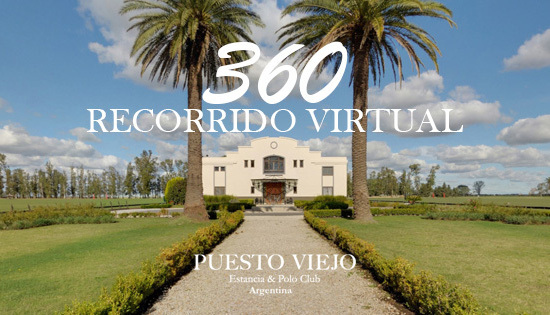 Puesto Viejo Estancia is a members club and we pride ourselves on our polo organization. 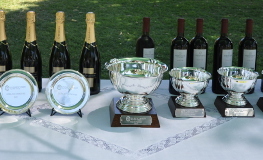 Practice matches are held 4 times a week and the club hosts 12 competitive and accessible tournaments throughout the year: from the Anna Isabella Cup that opens the season in September to the Farewell Cup that closes the season in May. Polo holiday guests are welcome to join in with our members and professional players of 2-6 goals whilst staying at our boutique hotel. If you would like to know more about our polo holidays, please visit that section with more information on this thrilling experience by clicking the button below. The excellent drainage and irrigation systems ensure very few days of polo are missed during the season. Weekly visits and reports from the specialist pitch consultant from the Battros office ensure Puesto Viejo Estancia has the best polo fields in the area. No trip to Argentina is complete without experiencing the nation’s famous sport. 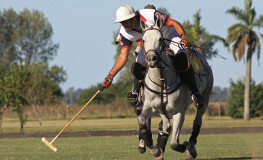 Recognizing the importance of polo for visitors, Puesto Viejo Estancia and Polo Club offers Polo Days with our polo professional, Julio Casares.